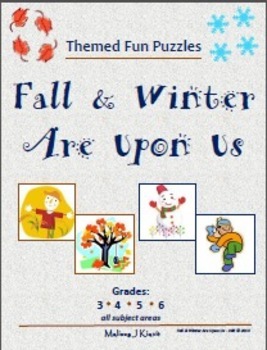 Fall and Winter Are Upon Us - Fun Themed Puzzles: Five pages of fun puzzles and writing prompts guaranteed to help your learners become better critical thinkers and writers -- all with a Fall and Winter theme! 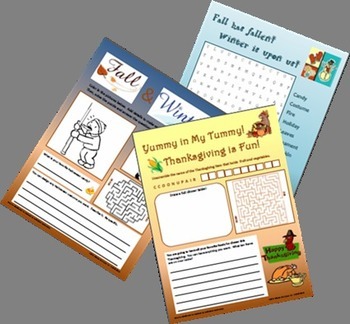 May be distributed to students by individual teachers. 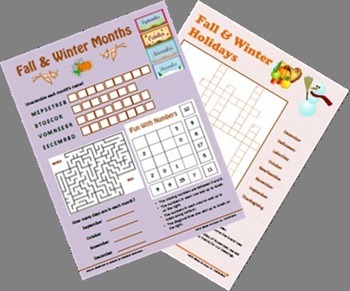 Perfect for 3rd, 4th, 5th, 6th grades, and homeschoolers! Thank you for visiting my store! Please follow me!